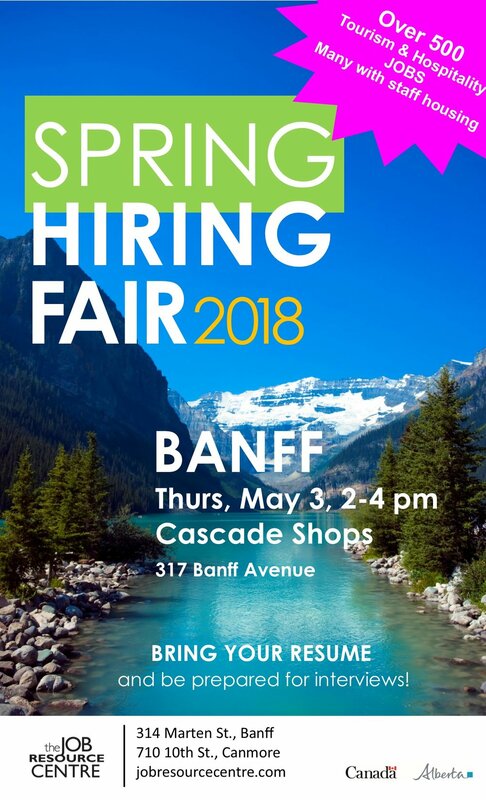 Our annual Spring Hiring fair is today in Banff! Are you looking for work, or know someone who is? Bring your resume to Cascade Shops from 2-4 pm and meet with 17 great local companies. How many jobs are up for grabs? Speaking with employers this week the number of available jobs has increased to 500! Don't miss your chance for a great summer in the Rockies! Job Resource Centre serving Banff, Canmore, Lake Louise and Kananaskis – the resources, services and expertise for an effective job search.